Successfully Added FlashMax LT55 - Mini CREE LED Flashlight to your Shopping Cart. One of the BRIGHTEST mini LED flashlights on the market. Powerful: The secret behind this amazing flashlight – it uses a LED emitter manufactured by CREE, the industry leader in flashlight components. The benefit to you: a high intensity beam you can always rely on whenever the need arises. More importantly - LED lamps shine brighter, last longer and use less energy! 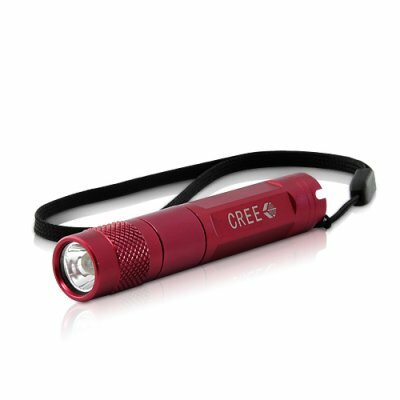 Durable: This mini CREE LED flashlight uses a precision machined dura-strength aluminum alloy case and has been anodized for extra corrosion resistance. The benefit to you: a high performance device that easily withstands industrial use wear and tear like no other! Flexible: The compact 74mm body holds and runs on a single AAA battery (Or 1x Ultrafire 10440 AAA battery) and is even weatherproof. The benefit to you: a high powered flashlight with half the size, twice the portability, and can be used almost anywhere. With 5 different light modes (High, medium, low, fast flash, low flash), the FlashMax LT55 Mini CREE LED Flashlight is great in any situation and perfect for campers, handymen, janitors, home use, business use, keeping in car glove compartments, as a gift, and especially for reselling online. Better than flashlight torches many times their price, this incredible tool comes with Chinavasion's famous 12 month warranty and is the perfect resale item because of its high resale margin potential. FlashMax CREE LED flashlights! Add them to your online catalog and watch your sales skyrocket! Order yours today and we'll express ship it out tomorrow! This flashlight has memory and follows a 5-step cycle that is like this: High, medium, low, fast flash, low flash. Just turn off the flashlight, then turn it back on to move onto the next part of the cycle.